The GE AC4400CW was basically a variant of the C44-9W in that it featured AC (alternating current) traction motors instead of the more traditional DC (direct current) traction motors. Different from the traditional DCs, AC traction motors are much more simple, reliable, and easier to maintain albeit they costs far more. Aside from their reliability and simplicity they provide phenomenal pulling power and are ideal for use in heavy drag service hauling freight over stiff grades. Because of this, and the need for power at the time, railroads loved the model and it went on to become the most successful present day locomotive. 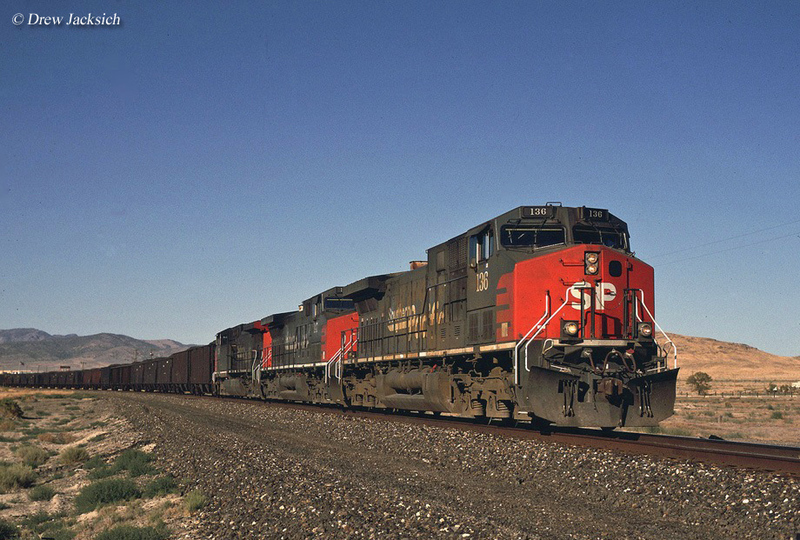 They have since been replaced by GE's newer ES44AC model but almost all of the AC4400s built remain in revenue service on every Class I in North America except for CN and NS (which did not purchase the model). 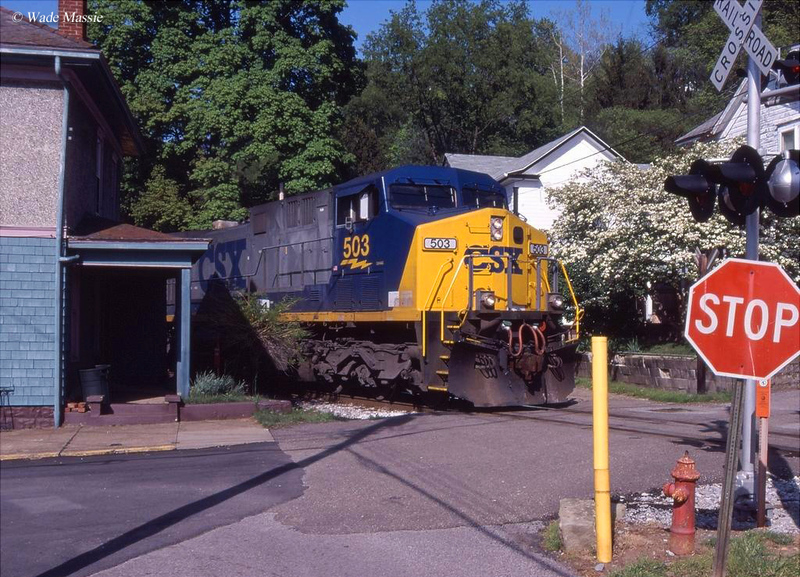 As such, if you are a railfan roaming the main lines in the United States or Canada there is a high probability that you will run across one at least once. The GE AC4400CW was built during the same time period as its DC sibling, the C44-9W, and was first cataloged in 1993. For GE it was the first locomotive it ever produced with alternating current traction motors and once it was discovered how useful the model was in slow, drag service hauling heavy coal trains and other freight up stiff grades sales for the design quickly took off. The GE AC4400CW featured the builder's four-cycle model 7FDL16 prime mover, which could produce 4,400 horsepower (technically, GE listed its rating at 4,390 hp). However, what really set the model apart was its available tractive effort of 145,000 pounds using the company's latest traction motor, the model GEB13. In any event, this rating was nearly 45,000 pounds better than even the C44-9W! Additionally, it's starting effort was an incredible 180,000 pounds, at the time the highest rating ever to be produced by a modern diesel locomotive. The AC4400CW was also one of the first to be equipped with the relatively new high-adhesion (or HT-C) truck, which helped to improve wheel-to-rail contact. The locomotive had a different designation than other models the builder produced, but the numbers and letters held the same meaning as the company's earlier designs dating back to the Universals. For instance, the "AC" referred to the model being alternating current, "4400" of course referred to its horsepower rating, the "C" referred to the unit having a C-C truck setup (three axles per truck), and the "W" designation meant it was equipped with the wide, safety cab. Officially, the AC4400CW went into GE's catalog in the summer of 1993 and became so successful that it remained in production until the company unveiled its new design, the ES44AC which was part of its new Evolution Series, in early 2005. By that time GE had sold a mind-boggling 2,598 units to every North American Class I except for the aforementioned NS and CN (which at the time included sales to both Southern Pacific and Chicago & North Western before they became part of UP). Overall sales totals for the locomotive are as follows; BNSF (121), CP (447), Cartier Railway (17), CSX (615), Ferromex (75), Ferrosur (38), KCS (175), Quebec, North Shore and Labrador (12), and UP (1338). 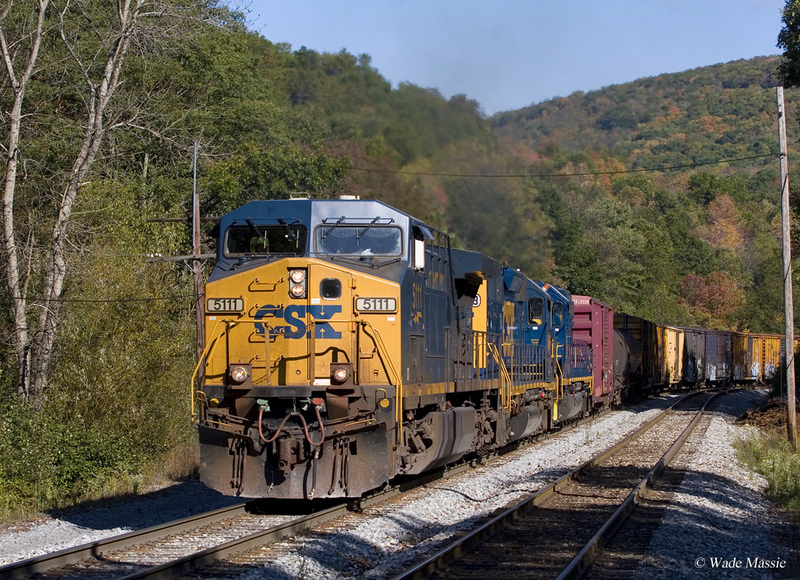 For lines like Union Pacific and CSX, the two biggest buyers of the AC4400CW, the locomotive has been an incredible asset in the movement of heavy freight, notably coal drags through Wyoming's Powder River Basin and West Virginia's Appalachian coal fields. Today, while their carbody is virtually identical to other, similar GE models like the C44-9W, likely every other locomotive you will see pulling a freight is a AC4400CW or ES44AC as nearly all remain in active revenue service on Class I railroads. Lastly, for more information about the locomotive please refer to the chart above for a complete production roster.